Tiramisù di piedi, basically meaning stacked tiramisu. This is Atul’s interpretation of a tiramisù . This is also the dish that convinced all the chefs when he was interviewing that he was the man for the job. 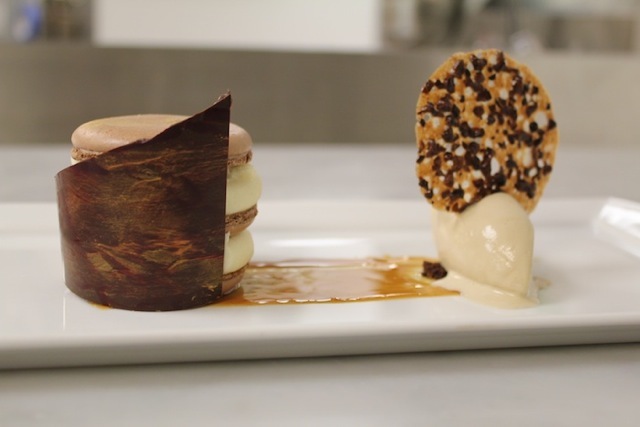 Coffee macaroon, mascarpone cream and coffee gelee make-up the tower and it is served with a cafe latte gelato.